In the fight against the Islamic State in Iraq and al-Sham (ISIS) and associated Sunni armed opposition groups, the United States should ensure its security assistance to the embattled Iraqi government rests on clear commitment on civilian protection for all Iraqis. There is a strategic imperative for the Iraqi government to prioritize civilian protection to unify the country, to avoid deepening the sectarian divisions, and to counter support for the militant groups. The fighting has already displaced more than a million people. 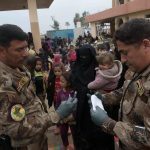 Over 2,400 have been killed in the month of June, though the United Nations notes the figure represents a minimum, as it does not include casualties in Anbar province. 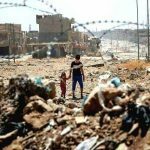 Armed violence caused over 7,800 civilian casualties in 2013, the highest death toll in years, according to the United Nations Assistance Mission in Iraq (UNAMI). Prime Minister Nouri al-Maliki’s sectarian driven policies, excessive use of security forces against critics, weak state institutions has done little to hold the country together since US military forces left Iraq in December 2011 and in fact contributed to the crisis. Sunni Arabs demonstrated against discriminatory practices against their community Sunni Arab localities across Iraq for over a year starting in 2012, which the government ignored politically, but to which it responded with military force, ignoring abuses committed by its security forces.ISIS, with its own agenda to establish a caliphate across Iraq and Syria, attacked Iraqi government institutions and took advantage of Sunni discontent and lack of national unity. During clashes between protestors and Iraqi forces in Fallujah in December 2013, ISIS saw an opening to fight Iraqi forces. 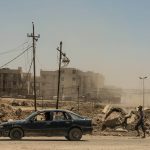 Baathist groups and local residents—who see the Iraqi army as an instrument of sectarian discriminatory policies—supported the militants, allowing them to fight the army, establish a base of operations in Fallujah, and pave the way for an ISIS takeover of Mosul and other Iraqi cities in June 2014.Last month, President Obama pledged to help the central government by sending up to 300 military advisors and surveillance drones—security assistance that should be matched by a credible commitment by the Iraqi government to fight ISIS in adherence to the laws of war and with tactics that minimize civilian harm or risk losing US support. 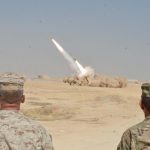 The United States learned hard lessons about civilian protection over the course of the last thirteen years in both Afghanistan and Iraq, which can be passed on to its Iraqi counterparts. US military advisors deployed to Iraq stand a better chance at stabilizing the country if they take these lessons to heart. Helping Iraqi security forces create practical guidance for minimizing harm to civilians—which when eventually operationalized in Iraq and Afghanistan did reduce civilian harm—will greatly increase the likelihood of a durable peace in a deeply divided society. Read the full article at the Atlantic site here.